The experience of small Auckland engineering workshop Designsteel in employing and training a sole apprentice is an encouraging one for a country of small businesses. When it comes helping an apprentice learn, being a small firm has its advantages. Building skills in a logical way is important. The training plan Warren agrees with Competenz account manager Rick Oliver helps do this, and sets clear goals for Andrew’s learning. Warren and Managing Director Brett Hollander support these goals by sequencing Andrew’s jobs as they come in. 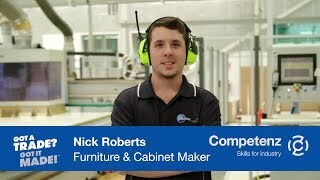 Past experience employing apprentices helps the company support their learners. As a small company, formal career paths are limited. Designsteel compensate for this by increasing pay ‘substantially’ when apprentices qualify, and offering a range of work.